The NRSWA Re-Assessment process has been introduced to improve the standard of workers on the highway following new regulations that came into force in April 2010. If your streetworks card is about to or has already expired you will need to take a NRSWA re-assessment course. Be sure to book early, you have 6 months prior to and after expiry to take your re-assessment course. If it takes longer than this to complete the course and receive your qualification you could have to do the full course again. However we will advise you that you will need to complete the re assessment course within 3 months of the expiry date. This is due to city and guilds and street works registration times If you have any questions you can phone and ask our NRSWA courses training team on 0845 130 7411. The window for re-registration of a Street Works card will be six months before and six months after expiry of the earlier registration. However we advise you to complete the NRSWA re assessment tests within 3 months of the expiry date, this is to allow enough time for the registration to go through with city and guilds street works. Failure to pass the test and have all of the paper work registered by six months after the expiry will result in the candidate having to complete the full course again. The registration can take up to 8 weeks to come through, so don't delay, book your re assessment today. If you have any questions on the NRSWA re assessment training contact the training team today on 0845 130 7411. Take your re-assessment course at centres across England. 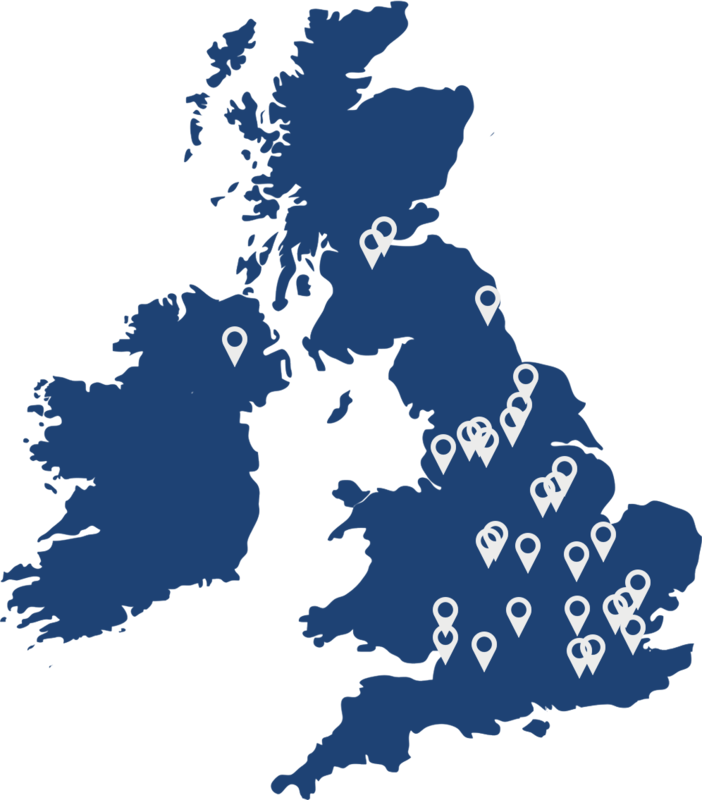 Browse our courses, or search your area for your nearest course. Project Skills Solutions has the widest spread of locations for any of your NRSWA training. If you hold a white NRSWA card and require reassessment then call now to discuss the most convenient and cost effective location. 0845 1307 411. The New Roads and Street Works Act requires that anyone who executes, works for, or on behalf of a utility company, is qualified for the activities being carried out. If you need to renew your white card (supervisor and operative units) please call for prices, prices listed online are for individual cards only. If your NRSWA streetworks card is about to or has already expired you will need to take a re-assessment course. Be sure to book early, you have 6 months prior to and after expiry to take your re-assessment course. If it takes longer than this to complete the course and receive your qualification you could have to do the full course again. The course can be either a 1 day or a 2 day course, depending on location. Call us for more details. Written work is included in this course. As agreed by HAUC (UK) the NRSWA Re assessment will will be in the form of a knowledge based, multiple choice tests. For each unit that an individual holds, they will need to undertake the corresponding re assessment. When and where do the NRSWA street works courses run? We have NRSWA training centres UK wide, there are courses running weekly. If you search your location and the course which you require on our homepage www.projss.co.uk then the nearest training centre with dates and availability will show. If you have any questions please do not hesitate to call our training team on 0800 0213 263. HELP, I’ve lost my card! If you have lost your street works card you will need to phone SCOTVEC for a replacement on 0845 2702720. How long does the NRSWA training last for? The NRSWA certificates and card are valid for 5 years. Once your card has expired you will need to refresh your training with the Re- Assessment. We also run these courses UK wide, with courses running weekly. If your card has expired and you live in England, you will need to take a re-assessment course, you can take a re-assessment course 6 months before your card expires and up to 6 months after its expiry date. The registration can take up to 8 weeks to come through, so we advise candidates to take their re-assessment course no later than 4 months after the expiry date. If your card has been expired longer than 6 months you will have to take a full streetworks course again. What do I do if I’ve lost my card? If your streetworks card is lost or stolen you will have to re-register, visit SWQR to download and fill out the application form. My certificate is here but my card is not? If your certificate has arrived but your card has not, don’t worry, cards can often take up to 8 weeks to arrive. You can call Project Skills Solutions on 0800 0213 263 to check on the status of your card. How long will it take for my certificate and card to arrive? Certificates generally can take from 4-6 weeks to arrive, and your streetworks card will usually take between 6-8 weeks. If you are concerned that your card or certificate has not arrived, please don’t hesitate to call us on 0800 0213 263 and we will check the status of your card and certificate. What NRSWA course do I need? Operative or Supervisor? Full course or individual unit? We want to make sure you book the course that you need, if you are unsure what course you need, click here to find out. Why do the NRSWA courses have different durations and prices at each location? This is because we offer different units at each location.